A year has passed. A year will have come. The time has flew away like a dream without our knowledge. We stepped into the year 2016 with a bag full of dreams. And how many dreams had we ever seen in this year? To pass the A/L examination well and to enter the university… To become a master among all other talented students… To become a 1st class graduate with a highest GPA… We all are having all these dreams. She also dreamed a lot… To become the most outstanding student of the university, is a dream for all of us. But she has make it true. That’s why the year 2016 has been an extraordinary year of her life. It was a new legend of UOM, a new legend of Faculty of Architecture: thus, she was the person who won the award of the most outstanding student of UOM, for the first time in the Faculty. Who is she? 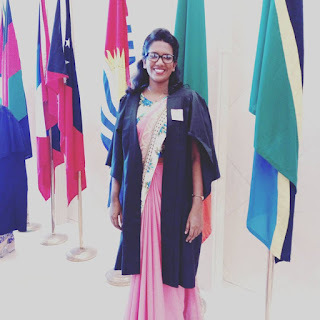 She is Ms. Chathurthi De Silva. We meet her from the Department of Town & Country Planning as a lecturer in charge of Applied Mathematics, Statistics and Spatial Information Systems. The interview with the most outstanding student of 2016 by the Media Club of UOM… here’s today, from Mora Mag……..
What is this award called “The most outstanding student of UOM”? 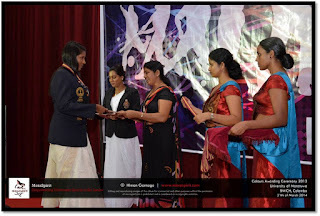 This is the award of Vidya Jothi Pro. Dayantha Wijesekara for the best graduate in the university. 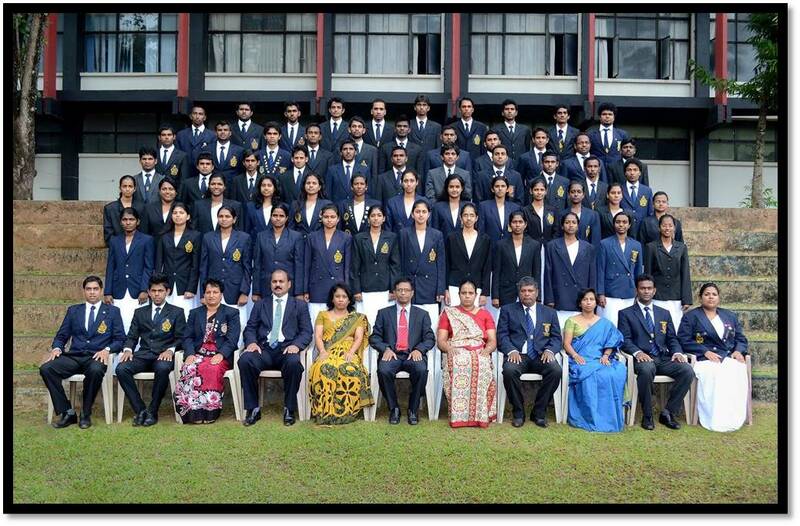 In each Department, there’s an award which is awarded for the batch top. For the Department of Town & Country Planning, I won the award of Pro. Willie Mendis as the highest GPA. Even in each Faculty, there’s an award for the best student in the Faculty. And this most outstanding student award is for the best student from the entire university. We have to apply for this award and they select the best student through the interviews for the award ceremony. In fact, for this award, they consider many criteria such as, academic performance, GPA, extra-curricular activities, sports, social work and leadership qualification. So… what kind of obsession that you felt when you heard as you selected as the most outstanding student of this year? Actually, I couldn’t really imagine. I was really surprised. 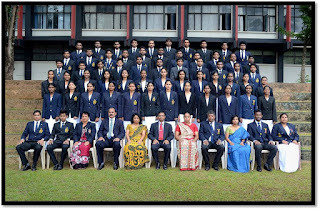 Except me, there were nearly twelve students had participated for the interview who were really ace as batch tops and sportsmen from each Faculty and who were well known in the university. So I was really fortunate that I was chosen for the award among all of them. Since this is the first time of wining the most outstanding student award from the entire Architecture Faculty, I feel really glad of myself. What kind of extra-curricular activities that you joined when you were in the university? 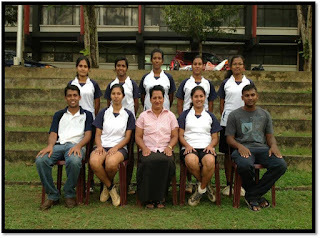 I joined University Tennis team when I was in 1st year. It was 2012.In that year,for the first time in UOM history,we could able to achieve the inter-university Tennis women’s championship.With victory, for the next year, I was assigned as the vice-captain. Since 2013 was a SLUG year, I had lots of accredited responsibilities as the vice-captain. 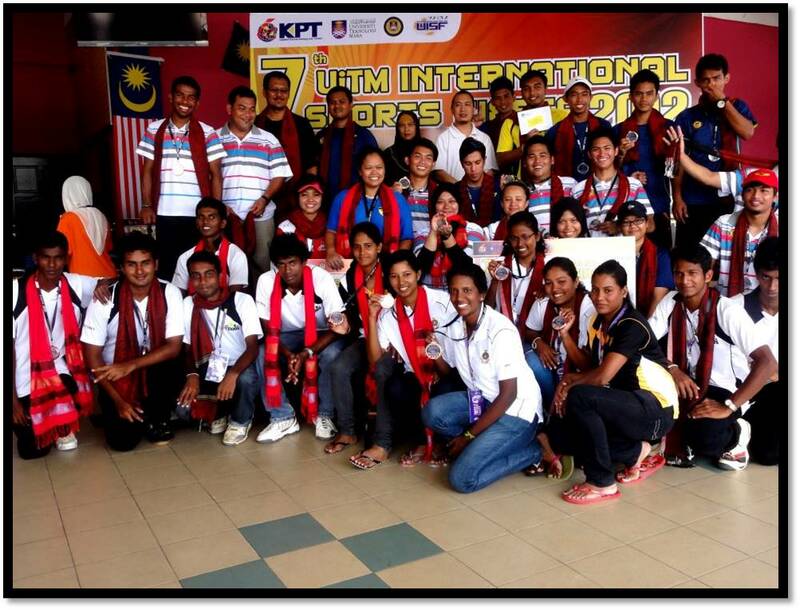 And also in the same year, we were invited by the University of Technology from Malaysia, for the MARA international Sports Fiesta and we could able to bring the glory to the country as wining the bronze medal. Actually I could say that it was the golden era of my life in the university. I played Tennis only for two years since I was busy with my academic work. 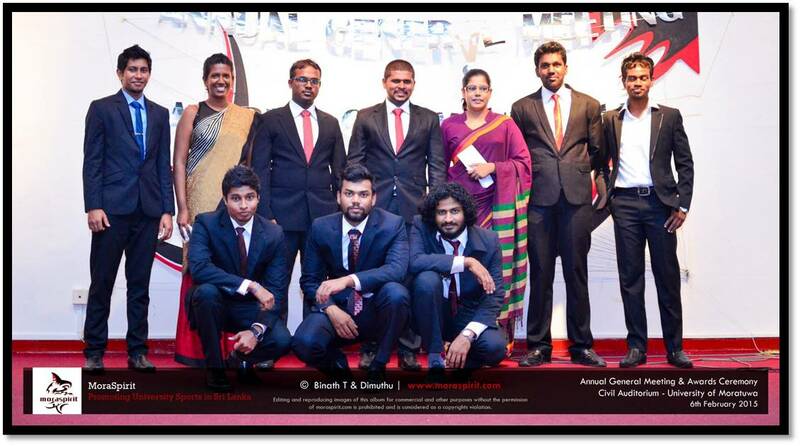 In 2013, when I was in 2nd year, I joined Mora Spirit as an editor. In 2015, I became the Editorial pillar head. And I still work as its executive committee member. In addition, have you done some other extra work in the outside from the university?Yes,I spent my leisure time with the kids from many children’s homes. I was teaching and looking after them. And I engaged with many charity programs. In addition I did voluntary work at British Council. How was your experience as a vice captain? As a vice captain, I learnt lots of things. In that year, our captain was engaging with her industrial training program. Therefore I was the responsible person who should have co-ordinate practices and handle all the players into a team. It was a great responsibility for me to contain the vice captaincy while managing all my academics. Since 2013 was a SLUG year, I had to do many work at Mora Spirit also. So it was a big opportunity for me to manage all the responsibilities and I learned many things from that. Can you tell about the details of your family, your hometown and about your school? My hometown is Rawathawatta, Moratuwa. And I studied at Visaka College, Colombo. My father, my mother and I are my family. My parents are always behind me in everything in my life.Though my father is in abroad, he always talked with me and encouraged me in my studies. My mother is always at my side as my shadow. And also I should remember all my school teachers, and all the lecturers whom supported me to step where today I’m in. In school times, what kind of extra-curricular activities that you were participated? I was in school girl guiding team and I was studying more of Music. Then How about your O / L and A / L Results? For the O/L we had only 8 subjects and I got 8 A s for all.I did A/L from Commerce stream. My subjects were Econ,Accounting and Combined Maths and I got A for Econ and B for two others. From the beginning I was keen on QS (Quantity Surveying) so it was my first choice.But as for my 2nd choice,I was selected for TCP(Town & Country Planning).But it wasn’t matter for me because I already kept my fingers on the modules and I was curious to learn them. So I was able to work on my academics happily. University life is a free life.This freedom is a precious thing.So we should use this freedom wisely. We've got a lot of resources from the campus. We have to use them properly. If we can manage all these things correctly, I think university life will be more beautiful. Then you may have lots of unforgettable memories in your university life. So… can you recall those memories? Yes, I have got lot of those memories. So, I’ll tell one of it. 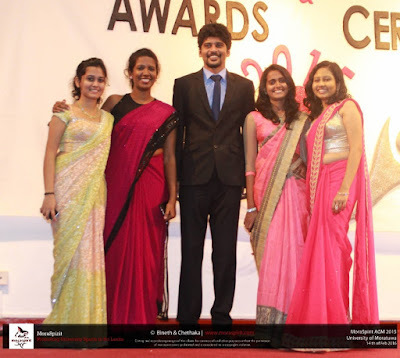 One day,when I was in my 2nd year,I had to cover an event from MoraSpirit at KDU (Kothalawala Defense University) grounds. At that moment, there was having a conflict between Our Mora team and some other team. The reason for this conflict was; though our team got selected for the finals, they replaced another team instead of ours. What I had to do is, report this incident. For that, I met with the Physical Education Director who was a Major General in KDU. When I asking about the incident, he got angry, shouted at me and suddenly he noted my name, phone number and my NIC no. I haven’t ever met with such kind of situation. So I got really scared. I thought that I wouldn’t cover sports events again. When others listened to this story,they all laughed and they said nothing will happen. When I remember this incident,I can’t imagine how I faced it and I still laugh myself. This is one of the most memorable one I’ve ever had. So… how wonderful your those days….? And now, how do you feel the life as a lecturer? Actually it is not an easy task to be a lecturer as I early though. I’ve just passed out in this year. So I thought that lecturers have to come and teach and mark assignments and students have all hardwork. But when I started my life as a lecturer, I realized that how it is complicated. Teaching is a huge responsibility. We have to prepare ourselves well before starting to teach. Not only marking assignments but, all the initial work, research work and all other stuff should have done by the lecturers. So it’s a really busy life. When we work with and among students, we renewed our university memories again. So as a lecturer I’m really satisfy of this life. Your message to the students who find many difficulties in their academics…. In a year, many talented students enter to the universities. 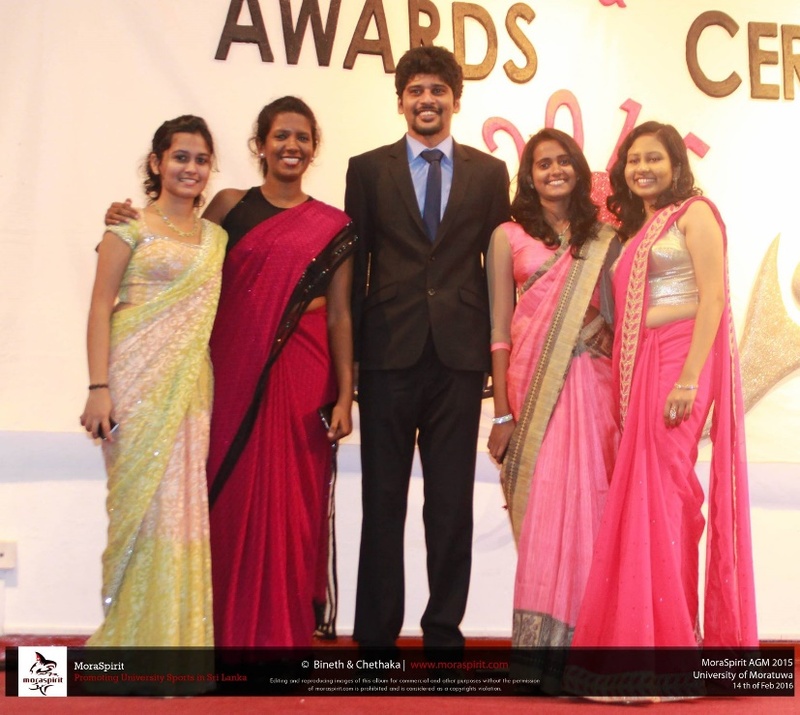 Especially, entering for the University of Moratuwa is a most momentous opportunity in one’s life. So now you’re over here. Now you are the responsible one of your academic life. You should make sure to go ahead from now on. If you find some difficulties in some subjects, you should give more attention for them and should improve them. If you think, nothing is impossible. What is your point of view of students’ eager on extra-curricular activities in uni life? University is a big place. Everyone has the freedom to do any sports and join for any club as their preferences. It is important to improve your skills and build up networks within your limited time. Most of students have same qualities in their academic performance. If you want to stand out more than others, it is necessary to engage with extra-curricular activities. It will color up your life. But, you should not forget that,why did you come for the university? Your main aim should be working for your Degree. With that, if you can join with other extra-curricular activities, it means a lot. What kind of a place should we give for our targets in uni life? Yes. For the life, there should have targets. To achieve the Gold medal of the Department was my first target in my university life.Because I had the target,I worked hard.Finally I achieved my target with the GPA of 4.02.When you have a target,you will understand that how could you work hard to achieve your target? If you lose some points from a semester, you have to earn them from the next semester.Therefore it is better to work into a target.But it’s not mean that you supposed to be in only your targets.The journey of university life should walk together with all ones’ helping hands.Only then, it will be successful. 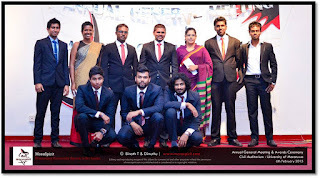 We also had a long term target to start a Media Club in University of Moratuwa and we have already achieved our target. So I would like to know about your views of our Media Club. Yes, actually you all have started really a good thing. We felt the lack of a Media Club when I was studying at the university. I’m really happy. I wish you all to move beyond with the club. How will be your life with your future plans? I hope to continue lecturing. As that so, I expected to do my higher studies of Town & Country Planning. My biggest target is to go forward to the level of Masters’ and PHD. Yes. She turned all her dreams at university into real... And… it is not the end… She still Dreams forward… Her busy schedule is not a barrier for her dreaming… So… as the Media Club of University of Moratuwa; we wish that, the coming 2017 will be another successful year of her life which is her future dreams become true.